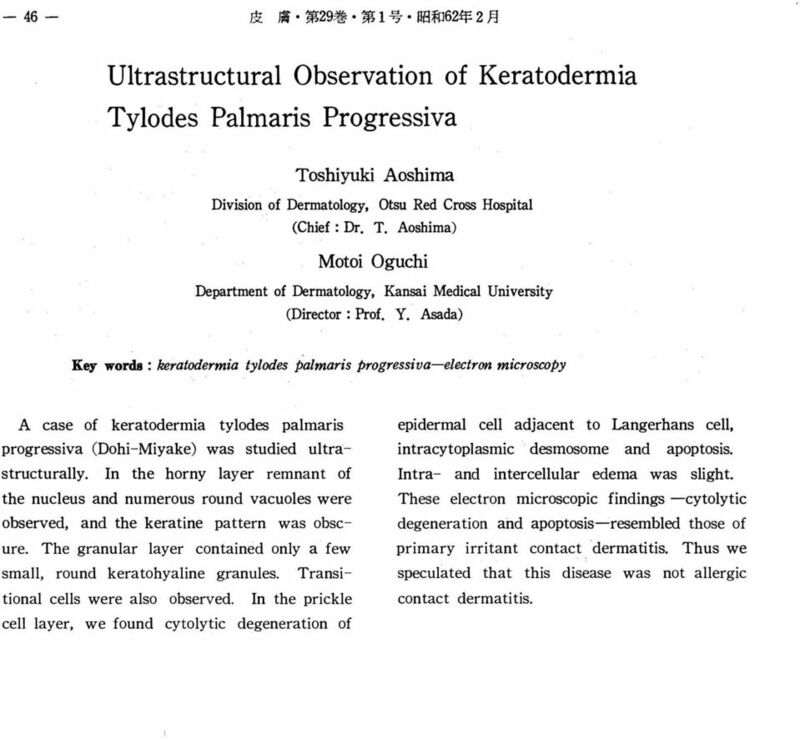 Download "Ultrastructural observation of keratoderma tylodes palmaris progressiva"
8 皮 膚 第 29 巻 第 1 号 昭 和 62 年 2 月 : , 安 田 利 顕 :Juvenile Plantar Dermatosis, Pediatric Dermatology, 日 本 レダリ- kk, 8 (2): 4, Medeniα,M. and Rostenberg, A. : A comparative light and electron micro 岳 copic study of primary irritant contact dermatitis and allergic contact dermatitis, J. Invest. 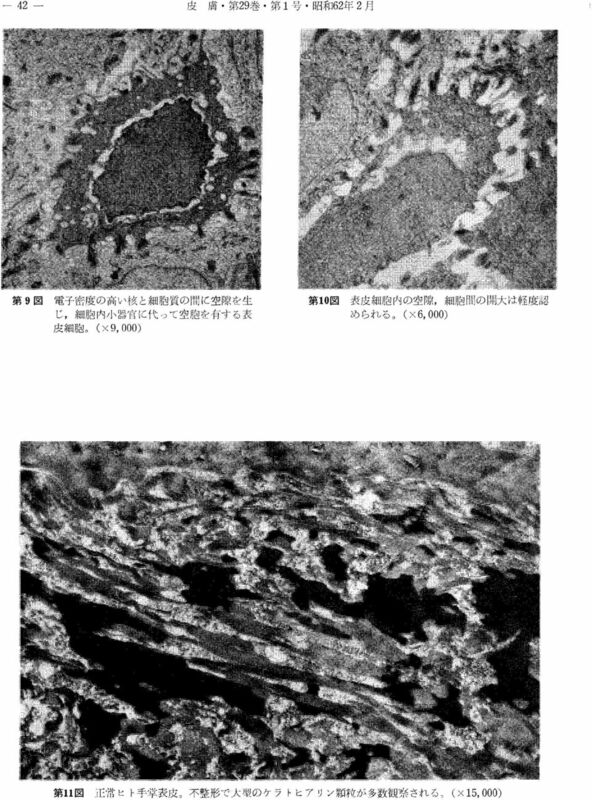 Derm., 56 : , Komura, J. and Ofuji, S. : Ultrastructural studies f allergic contact dermatitis in man, Arch. Dermatol. Res., 267 : , Metz, J. and Metz, G. : Zur Ultrastr uktur der Epidermis bei seborrhoishen Ekzem, Arch. Der matol. Forsch., 252 : , 青 島 敏 行 :ジベルばら 色 枇 糠 疹 の 電 子 顕 微 的 観 察, 皮 紀 要,81 : , Higashida, T., Futamura, S. and Komura, ]. 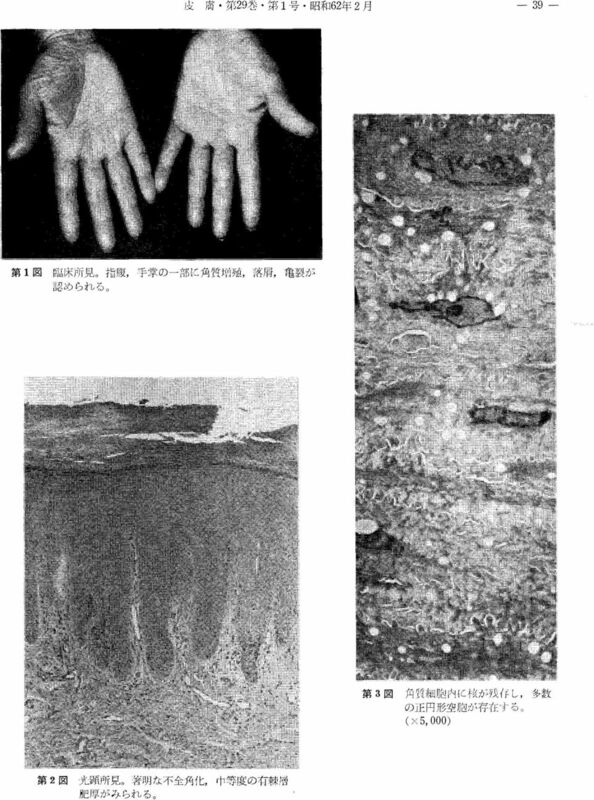 : Ultrastructural observation of keratinocytes in acrodermatitis enteropathiαーlike eruptions-comparative study of pityriasis rosea Gibert and allergic contact dermatitisー,]. Clin. 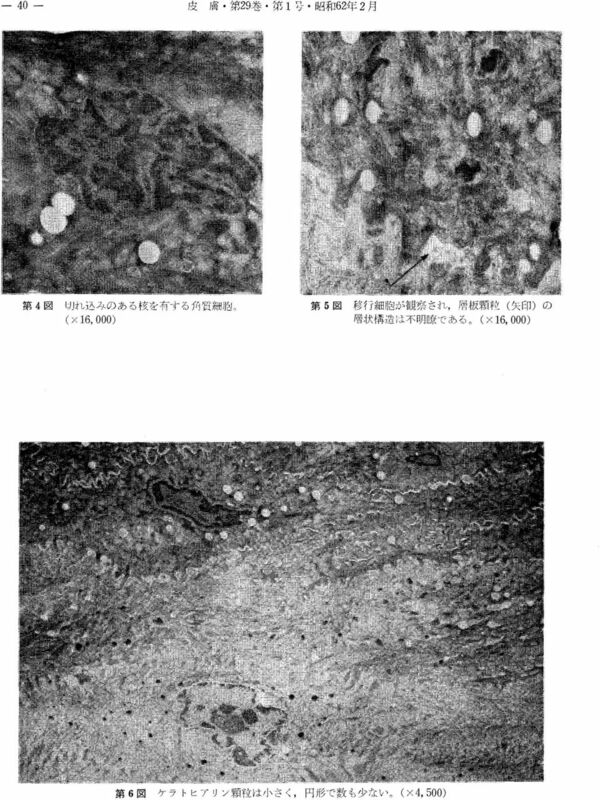 Electron Microscopy, 17 : , 渡 辺 悟 : 滴 状 類 乾 癖 の 電 子 顕 微 鏡 的 研 究, 皮 紀 要, 72: 1-43, Takaki, Y. and Miyazaki, H. : Cytolytic degeneration of keratinocytes adjacent to Langerhans cells in pi tyriasis rose 混 (Gibert), Acta Dermatovenereol. 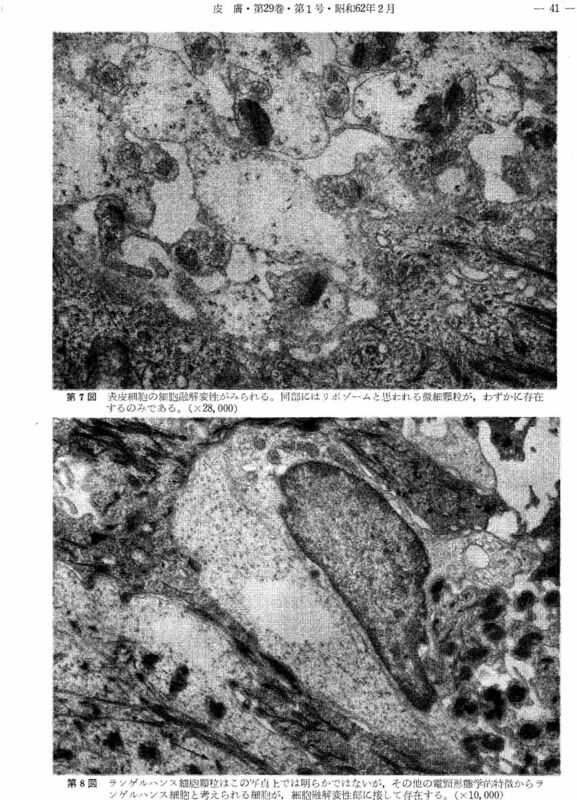 56 : , Wyllie, A.H., Kerr, J. F. R. and Currie, A. R. : Cell Death, The significance of apoptosis, Int. Rev. Cytol. 68 : , Weedon, D. : Civatte bodies and apoptosis, Brit. J. 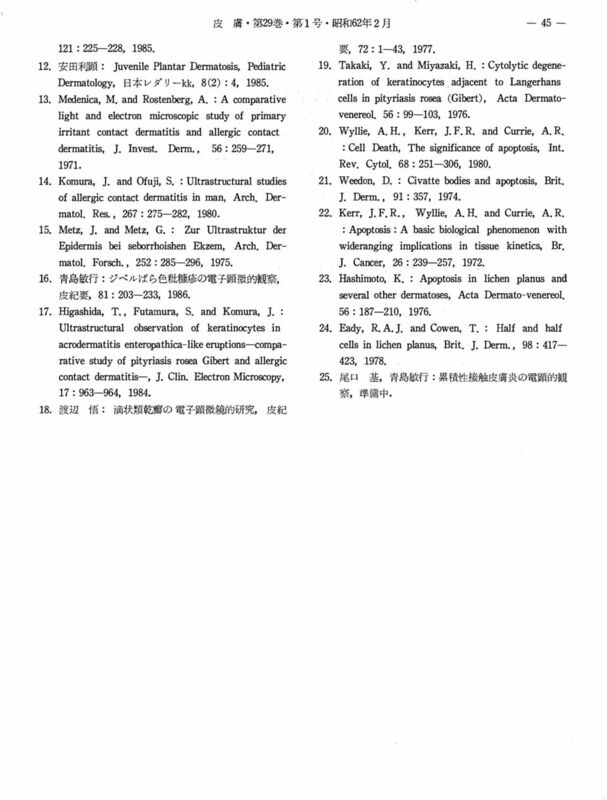 Derm., 91 : 357, Kerr, J. F. R., Wyllie, A.H. and Curi ie, A.R. : Apoptosis : A basic biological phenomenon with wideranging implications in tissue kinetics, Br. ]. Canαr, 26: 239ー257, Hashimoto, K. : Apoptosis in lichen planus and several other dermatoses, Acta Dermato venereol. 56: 187ー210, E 冶 dy, R. A.]. and Cowen, T. : Half and half cells in lichen planus, Brit. J. Derm., 98 : , 尾 口 基, 青 島 敏 行 : 累 積 性 接 触 皮 膚 炎 の 電 顕 的 観 察, 準 備 中. 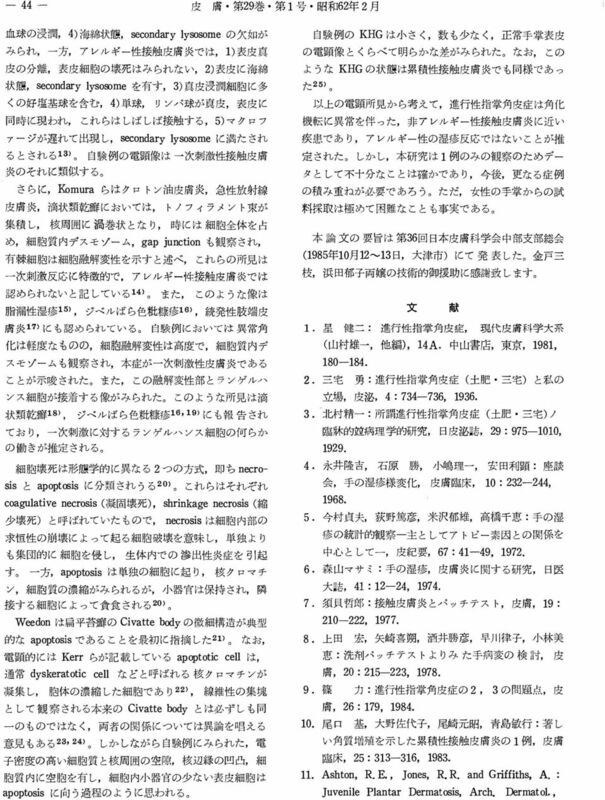 脱 灰 液 K-CX 使 用 ガイド 使 用 説 明 書 K-CX を 使 用 される 前 に 必 ず 本 書 をお 読 み 下 さい 目 次 1. 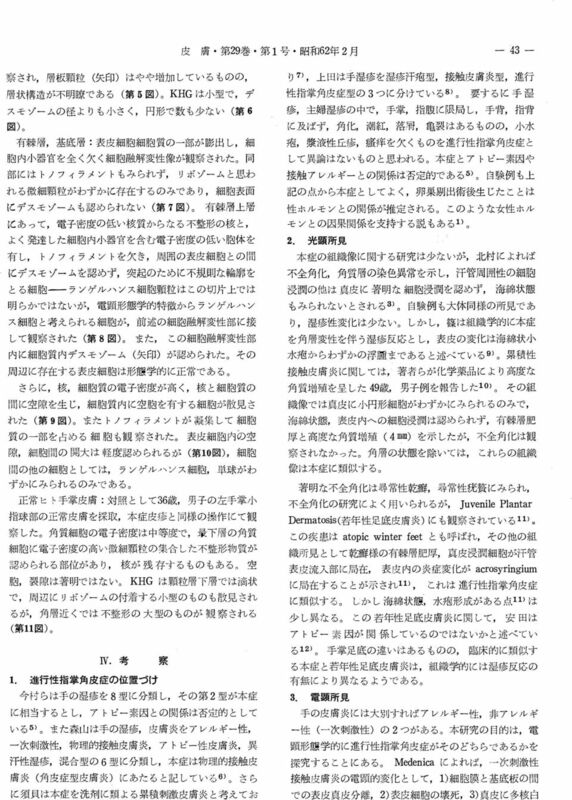 はじめに 1 2. 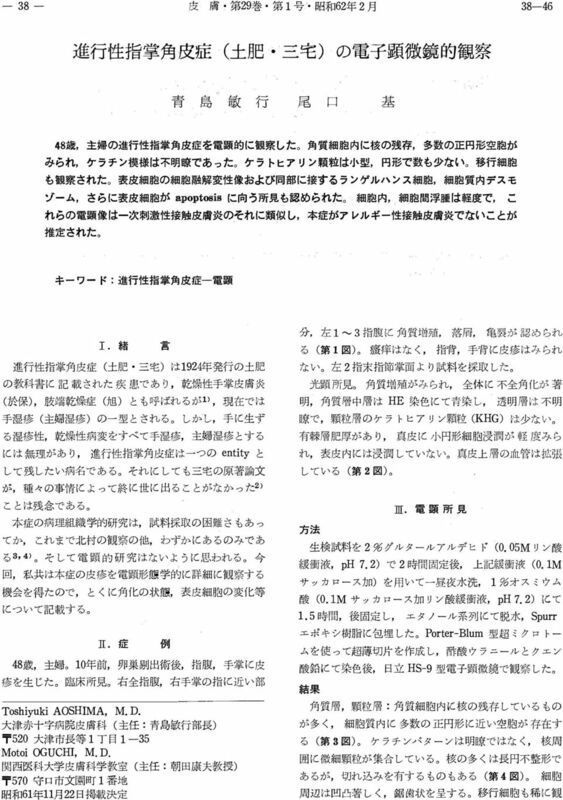 K-CX について 1 3. K-CX を 用 いた 一 般 的 な 脱 灰 手 順 2 4. K-CX の 利 用 法 について 4 5. イヌ 硬 組 織 標 本 作 製 における K-CX 低 温 希 釈 脱 灰 法 7 6.